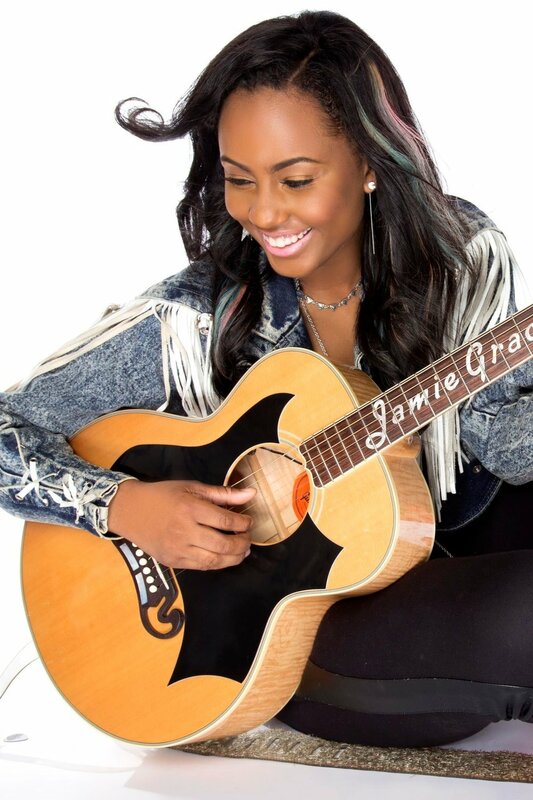 When Jamie Grace was 14, she created youtube channels for her music and for “ImAFighter” which, over the years, garnered the attention of record labels and producers. At the age of 17, Jamie Grace became a cast member on TBN’s iShine KNECT and began touring with iShine LIVE with her self-produced Pop/Hip Hop CD. Her Youtube channel continued to open doors which included being signed a major record label and joining the national tour The Revolve Tour as a keynote speaker. As she grew as an artist, songwriter and guitarist, she developed the “Jamie Grace sound” heard in “Hold Me” and “Beautiful Day” and continued to tour and record albums. At 19 she was nominated for a Grammy Award, Billboard Award and multiple Dove Awards where she went home as the Dove Award’s New Artist of the Year. At just 24 years old, now independent artist Jamie Grace has 4 #1 radio singles, many nominations as a singer/songwriter, millions of views on her weekly Youtube videos and a “crazy but awesome” (as Jamie Grace explains it) tour schedule. She is also half of Harper Still, a country-influenced pop duo with her older sister and writing partner Morgan Harper Nichols. While recording her 3rd studio album, Jamie Grace currently serves as a worship leader at her home church in Stone Mountain, Georgia.